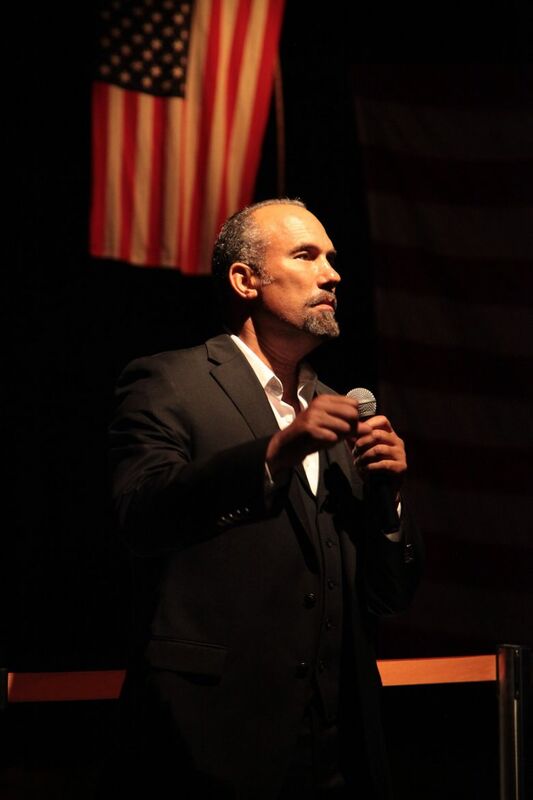 Roger Guenveur Smith, whose one-man shows about Rodney King and Huey P. Newton were brought to the big screen by Spike Lee, is bringing his solo show “Frederick Douglass Now" to the stage at the Langston Hughes Performing Arts Institute Feb. 8-10. This show has been postponed because of the snow. New dates will be announced. No one alive today knows what Frederick Douglass sounded like. When the orator and abolitionist died in 1895, early sound technology was in existence, but there are no existing recordings of his legendary speeches. 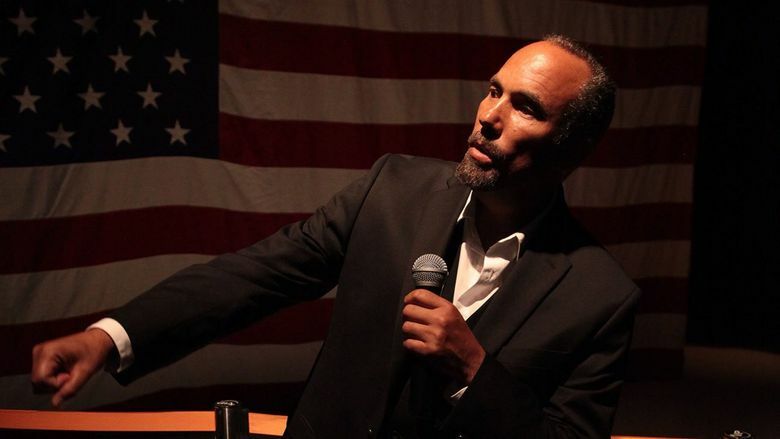 “Douglass exists in our imagination,” said Roger Guenveur Smith, the creator and performer of “Frederick Douglass Now,” a solo show on stage at the Langston Hughes Performing Arts Institute Feb. 8-10. Smith sparks the imagination by performing selections of Douglass’ writing, bookended by his own original, poetic riffing. “I am a fugitive slave. I live underneath the Hollywood Freeway or the Brooklyn Bridge, somewhere under the rainbow,” he begins at a recent version of the show. If there’s anything that “Frederick Douglass Now” isn’t, it’s a tidy history lesson. Smith is a frequent collaborator with Spike Lee — in “Do the Right Thing,” his stammering Smiley, who professes admiration for Malcolm X and Martin Luther King Jr., is an iconic figure in a film full of them — and Lee has directed film versions of Smith’s previous solo shows about Rodney King and Black Panther Party co-founder Huey P. Newton. Smith performed “A Huey P. Newton Story” at On the Boards in 1997 and “Rodney King” at Langston in 2016. “Frederick Douglass Now” is just getting its Seattle debut, but it’s been with Smith the longest — a “signature work,” he says. Inspired by Hal Holbrook’s long-running “Mark Twain Tonight!” Smith began developing the show as an undergraduate at Occidental College. Douglass left behind a prolific body of work, and the challenge of synthesizing it all was evident. The editing and evolving continued over the years for Smith. He worked as a research assistant for the Frederick Douglass Papers as a graduate student at Yale, helping refine the piece. He performed the show at New York’s La MaMa Experimental Theatre Club as a multimedia presentation, with Douglass dressed in a black leather jacket a la Huey Newton. A performance last year in Brooklyn featured sets from the Branford Marsalis Quartet, echoing the “jazz musicality” Smith aspires to in his work, he said. Now, the show runs a “lean and mean hour,” and Smith is performing a few more live shows before production begins on the planned film adaptation, with Lee once again slated to direct. “Spike is of the mind that he doesn’t want to engage in history simply as nostalgia [or] as an exercise in the past,” Smith said. Smith could be describing his own show. Douglass’ words about racism and inequality are hardly only applicable to a bygone era. As a historical figure, Douglass is fascinating — a former slave who taught himself to read and write, an advocate at President Lincoln’s desk for the rights of black people, a feminist who attended the first women’s rights convention in Seneca Falls, New York, in 1848. And unlike other better known American giants like George Washington or Thomas Jefferson, “he was not a slaveholder,” Smith notes wryly. But the past is not merely the past in Smith’s show.